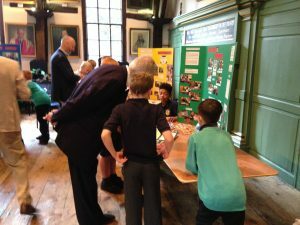 The teams that made the most profit in each class travelled to the Merchant Adventurer’s Hall for a ‘Showcase Event’ on Wednesday 19th July. They set up their stalls, with display boards and products. They were visited by the Merchants of York – (business men and women) who asked them questions about their Enterprise challenge. Three judges then visited all of the schools that were represented and then presented cups to the winning teams. ‘The Ballooners’ from Mr J Brown’s class got the prize for the best marketing. 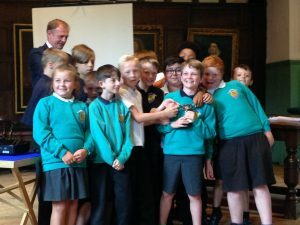 Osbaldwick school got the prize for being the best school overall for Enterprise! The children represented our school very well and we are all very proud of them. We are looking forward to participating again in the future!